← Did Frank Lloyd Wright Listen to Fats Waller? ANNUAL EMMANUEL HOUSE DINNER & AUCTION…returns this April 6th. It’s an elegant Gala this time with dinner, desserts provided by Food Network star Chef Roby, and a private concert for just 150 people with Danny Gokey, 2018 Grammy-nominated singer and American Idol finalist. PLUS our elite silent auction, including such things as a vacation package to Sedona, AZ. Go to the Emmanuel House website, or click on the gala’s logo below for more information, or to register and purchase a ticket. SPECIAL OFFER: General admission is $150 per ticket, BUT the first five people who EMAIL me HERE will receive a ticket for just $90. Fill in your name and email, put “Gala” in the subject line, and write “Contact me about $90 ticket” in the message box. Then click Submit. ♦ Go to the Emmanuel House website AFTER February 13, 2018, to register for this year’s Gala/Dinner/Auction (at full price), or to get involved by Donating, Volunteering, or Investing. ♦ Go Here for the Emmanuel House main page on this site for videos and articles explaining details of our program and history. We help move families out of poverty through home ownership and higher education. 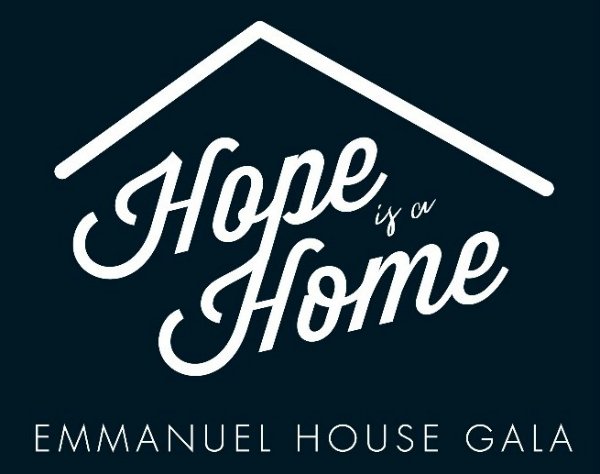 ♦ Watch a couple of minutes from Danny Gokey’s “Hope Is A Home” benefit concert for Emmanuel House, held just before the 2015 Dinner/Auction. Danny took 3rd in 2008′s American Idol. He has an amazing voice and an even more amazing story. …used “Hope Is A Home” as its theme (also see the Hope Is A Home concert video just above). Held November 13th at the Two Brother’s Roundhouse, Aurora, IL, it sold out two weeks early! When each year’s registration opens, don’t wait around! Go to posts and videos of the 2012 5th Annual, and the 2011 4th Annual. We began with “just” an auction—but the Superbowl of Auctions, an attendee once said, because there were hundreds and hundreds and hundreds of items. In 2014 Emmanuel House started a Dinner/Auction combination, with fewer items but more of a chance to socialize and actually talk about the organization, its processes, its goals, and dreams. This entry was posted in Social Change and tagged Danny Gokey, Emmanuel House, poverty reduction. Bookmark the permalink.